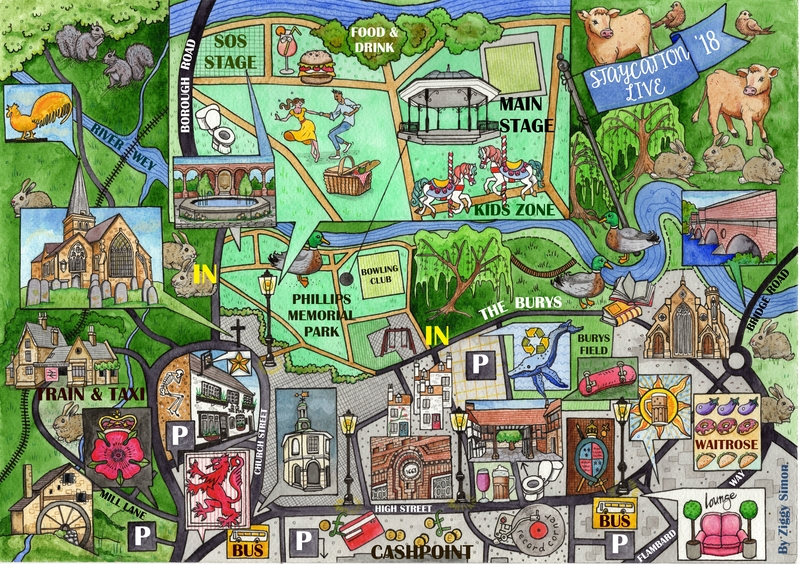 Now into its 9th year, Godalming’s community music, food and arts festival Staycation Live is back for 2019, bigger and better than ever, and will be held over the weekend of the 2nd, 3rd and 4th of August. Staycation Live is one of Surrey’s fastest growing music and arts festivals, with an ethos for showcasing a broad range of music, local food and entertainment. The festival has brought many great and diverse acts to Godalming over the two stages set in picturesque Phillips Memorial Park and you can expect more of the same this year with an eclectic mix of acts and bands ranging from folk to funk, electro swing to folk and ska to hip-hop. Staycation Live 2019 couldn’t take place if it wasn’t for the support they receive from the public so please support the event and our chosen charity by donating at the festival on the day. Last year’s chosen charity is Spinal Muscular Atrophy Support UK who support and empower anyone affected by Spinal Muscular Atrophy. Please remember, there are great transport links to the festival with the site itself only 5 minutes walk from Godalming train station so please leave the car at home.